Koi stands for ‘creative office illumination’ and now sets new standards in both emotional as well as economic components of realising lighting technology. 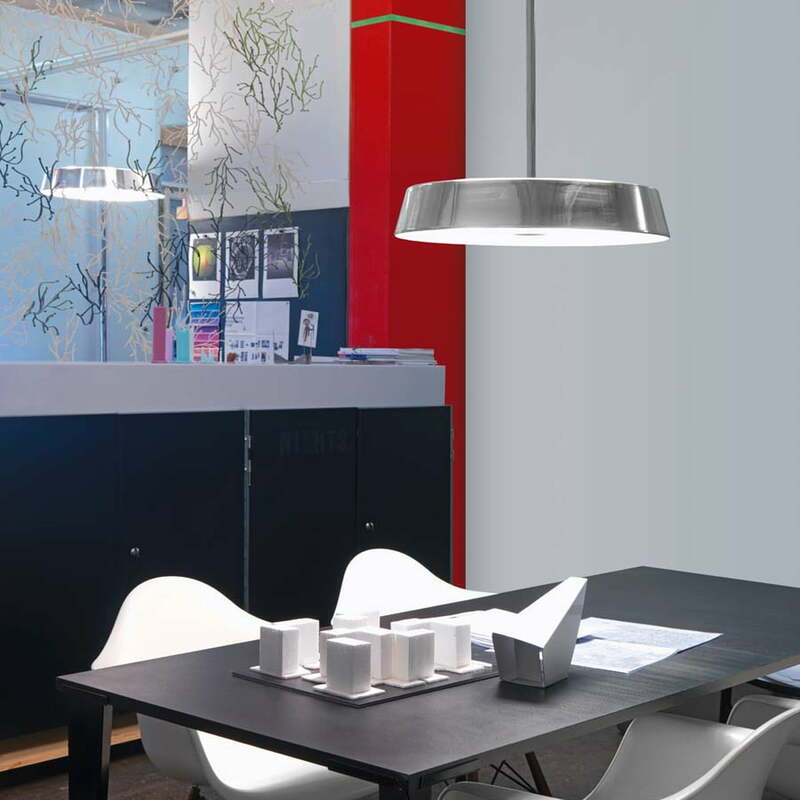 The Koi pendant lamp by Belux seems to float lightly, lively and nobly in spite of its heavy solidity. 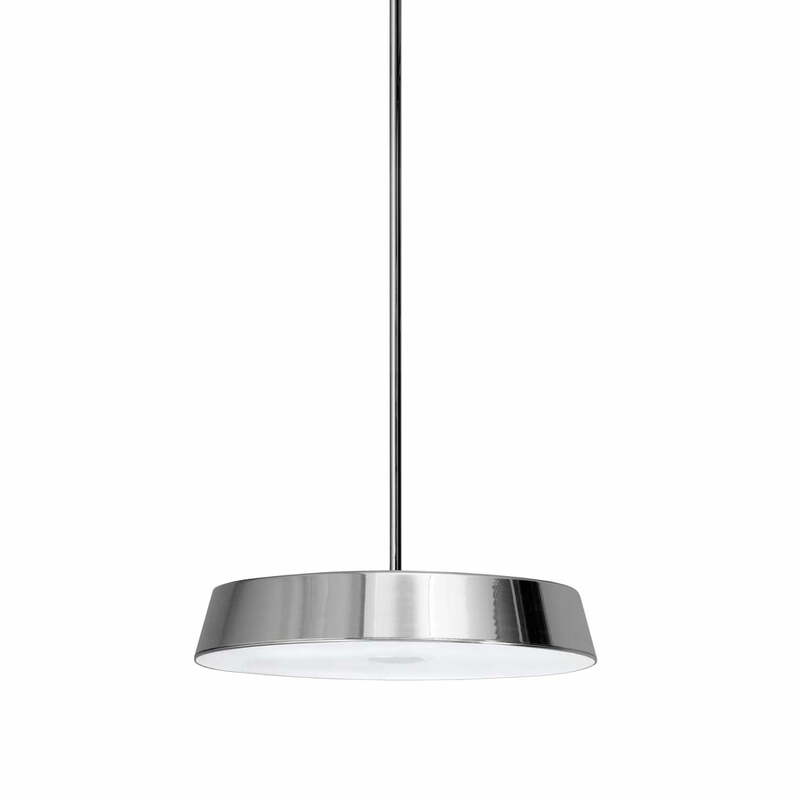 The pendant light can be shortened to any length to fit easily into small alcoves with sloping ceilings. 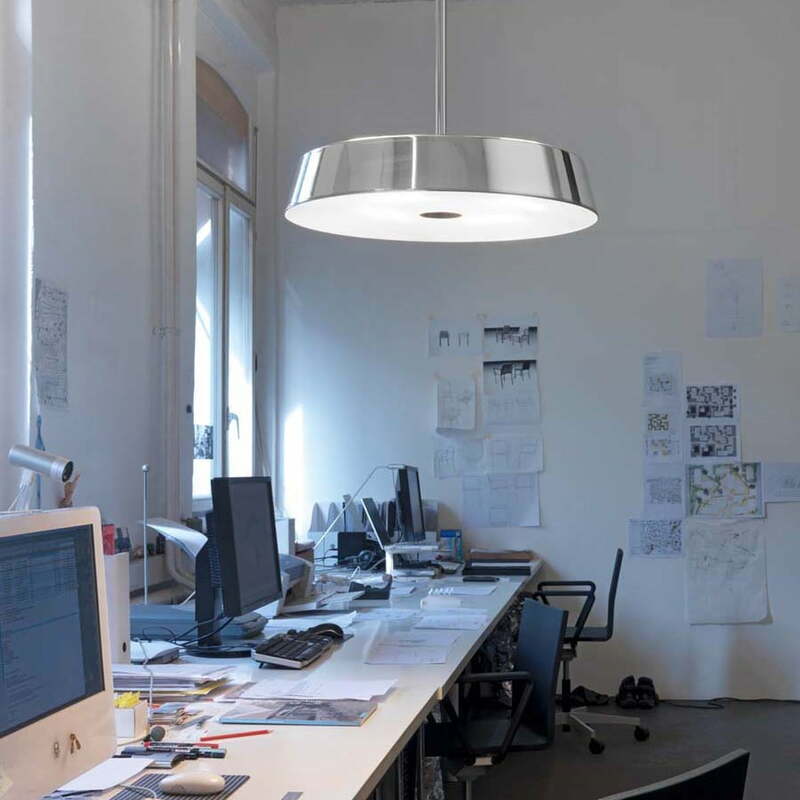 Koi’s round shape guarantees rotationally symmetric and homogenous light distribution across a large area. Despite the large light output, the bulbs remain only dimly visible. The high efficiency of the Koi pendant lamp is made possible through efficient lighting technology and the geometry of the head. The broad arrangement of four powerful 42W fluorescent lamps with total 13000 lumen results in 20% less light loss compared to conventional office floor lamps. Koi reflects up to 70% of light through the ceiling and ensures fatigue-free and generous room lighting. 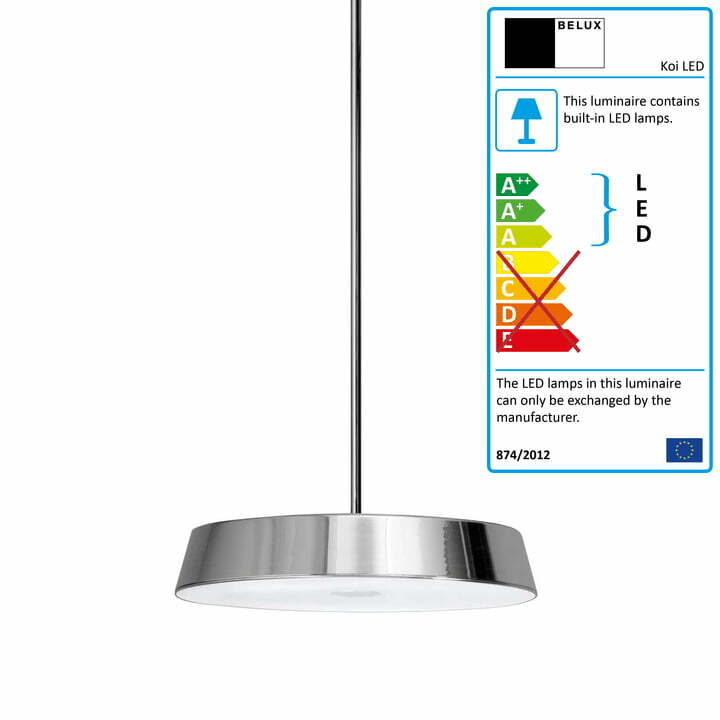 The remaining 30% is directed glare-free and broadly to the work surface through modern lens technology with a pyramid structure. The 12° conical lamp head made of translucent metallised acrylic glass reflects 65% of the scattered light as additional direct light; the remaining light passes through the head and is used for direct, side room lighting. Koi is Minergie-certified thanks to its lighting efficiency and optimal glare reduction. The creed of ‘super normal design’ sustainably permeates the thinking and doing of Naoto Fukasawa. This is reflected also in the formally integrative character and stunning simplicity of the Koi family of lights. The elemental design perfectly demonstrates the naturalness of its functionality and thus stands for well-being, sustainability, flexibility and versatility, which in the office world of now and tomorrow is very important. 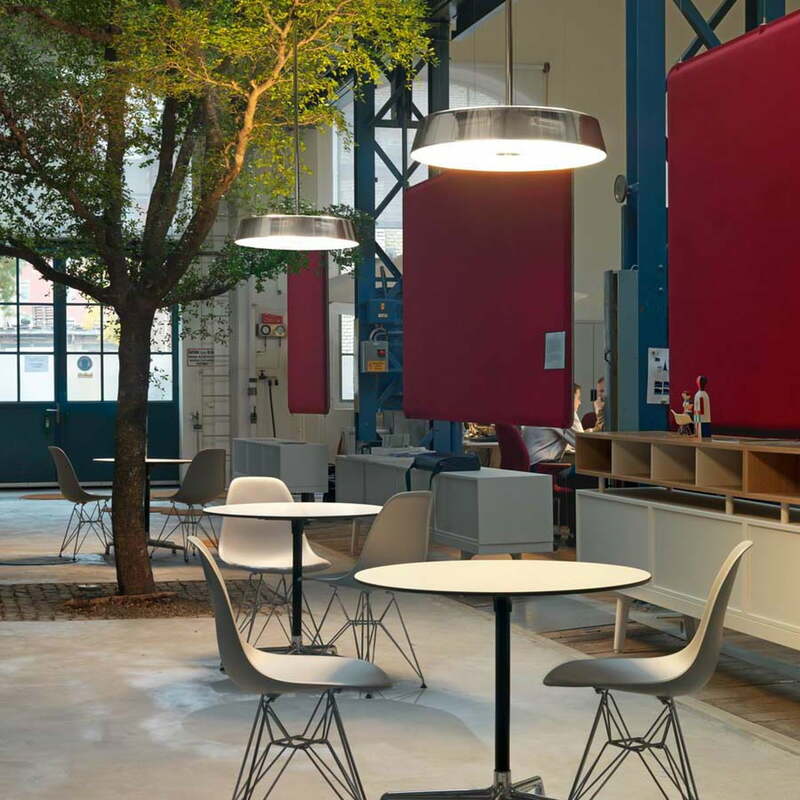 The Koi pendant lamp by Belux can also be equipped with a dimmer or come with integrated multisens. Each variant can be requested with a length of 1 m or 0.5 m. There is also a table version of Koi available. 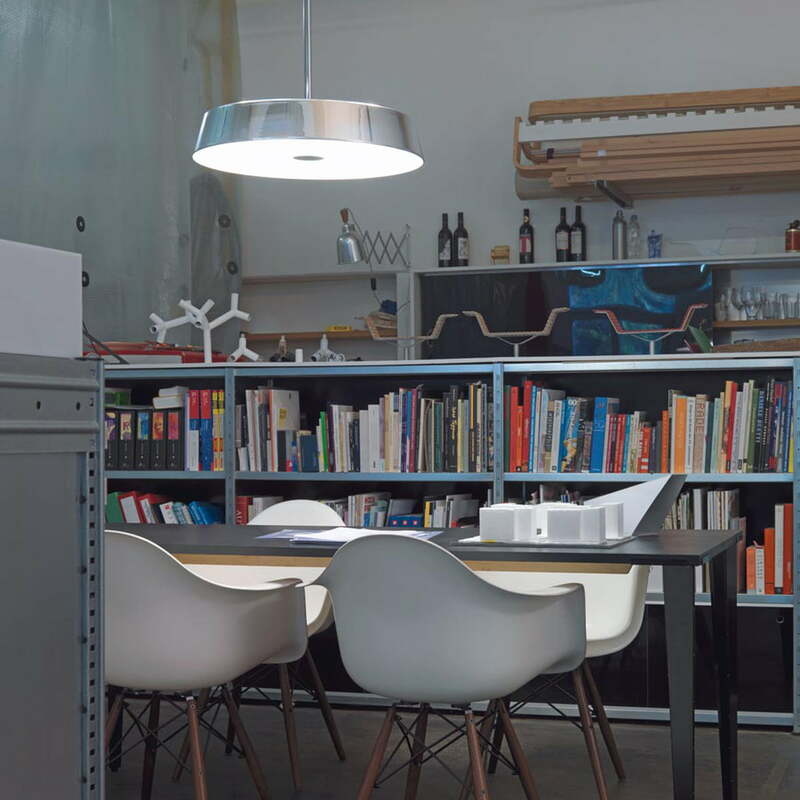 Koi is Belux’s answer to the many square-shaped office lamps on the market. Based on research studies, the designer Naoto Fukasawa and Belux designed a family of lamps with features that will be important to the office world of today and tomorrow.